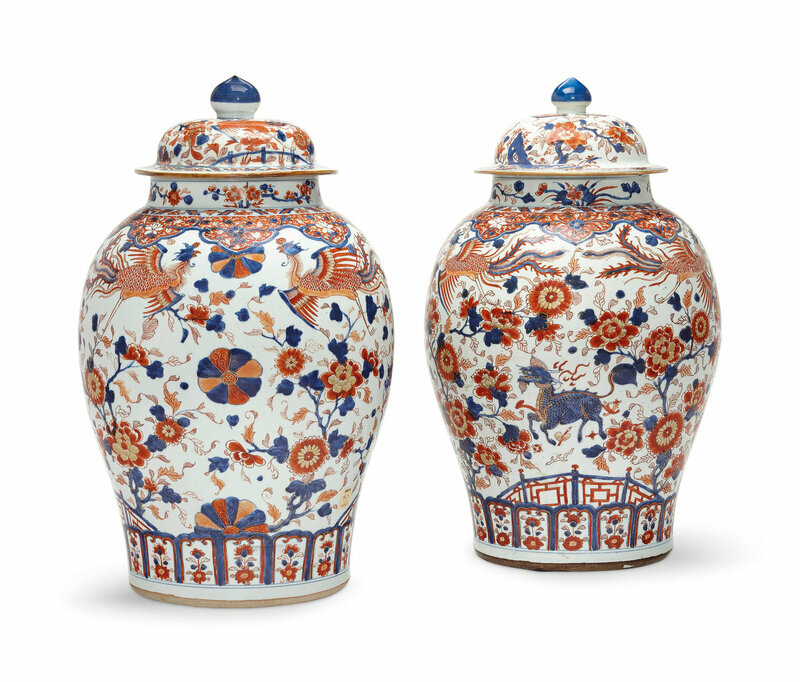 Lot 48. 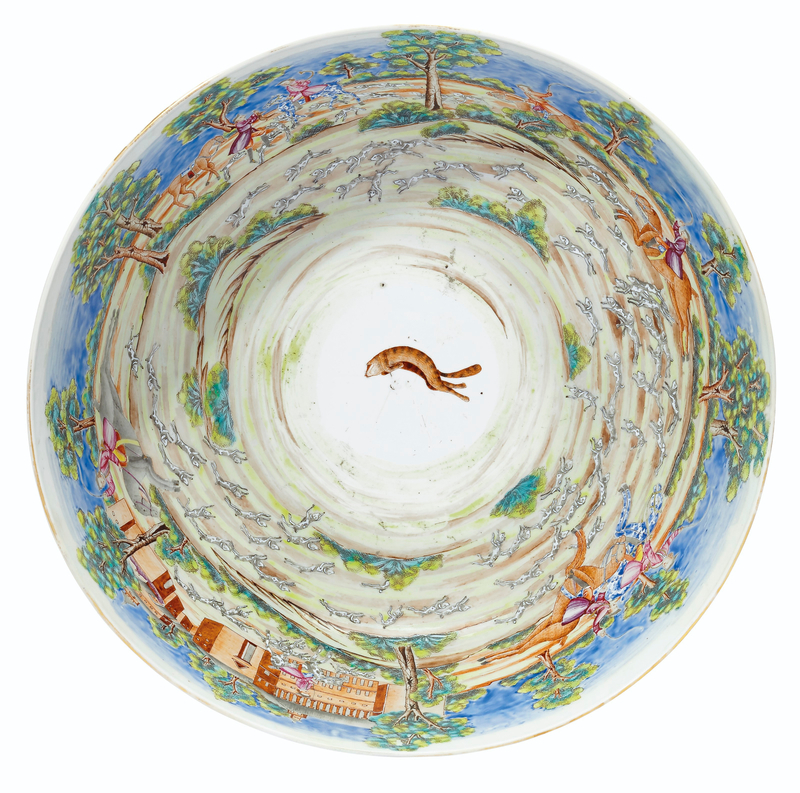 A rare large tiger and foxhunting bowl, Qianlong period, circa 1775; 16 in. (40.6 cm.) diameter. Estimate USD 15,000 - USD 25,000. 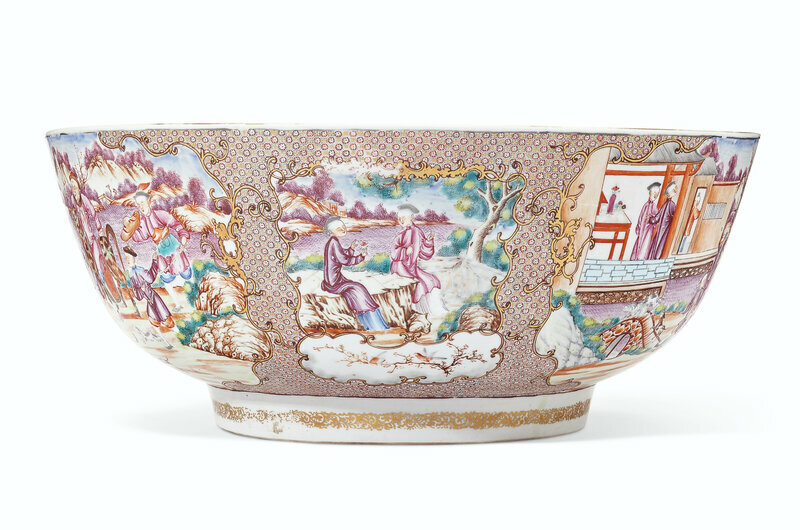 Price realised USD 40,000. © Christie's Images Ltd 2019. 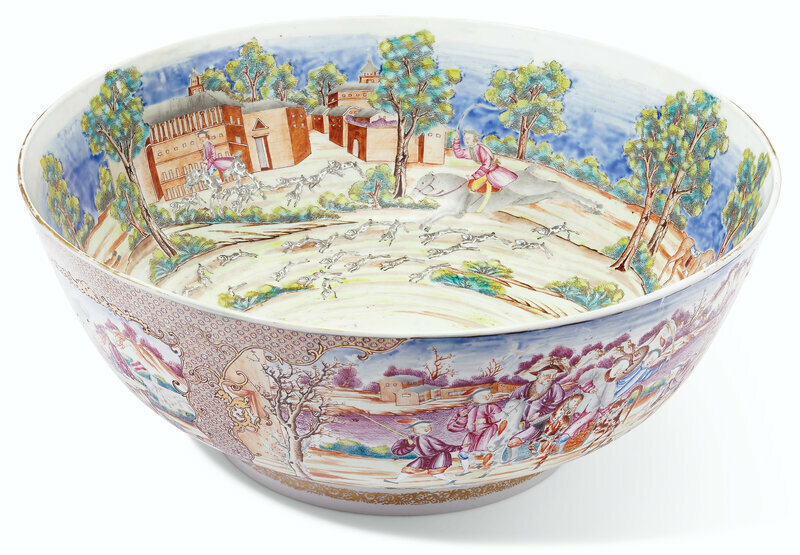 A Chinese tiger hunt in two panels on the exterior, one side showing the capture and the other with the tiger being carried back home, the interior with a continuous view of a Western foxhunting scene, the riders accompanied by a large pack of hounds and encircling the fox in the center. 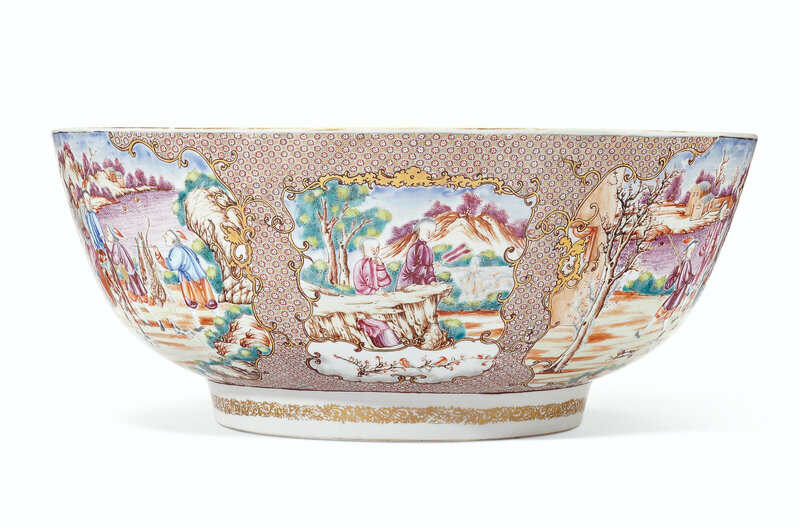 Provenance: Anonymous sale; Christie's, New York, 9 May 1994, lot 17. 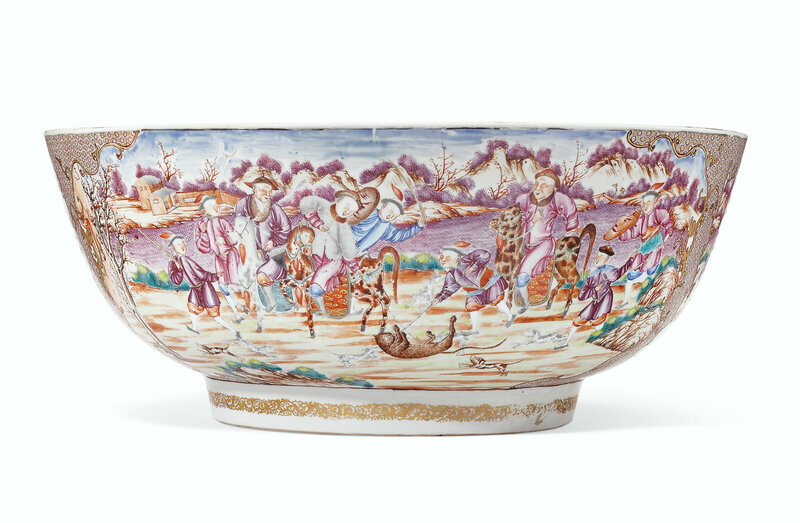 Literature: William R. Sargent, Chinese Porcelain in the Conde Collection, Madrid, 2014, p. 274-275, no. 112. 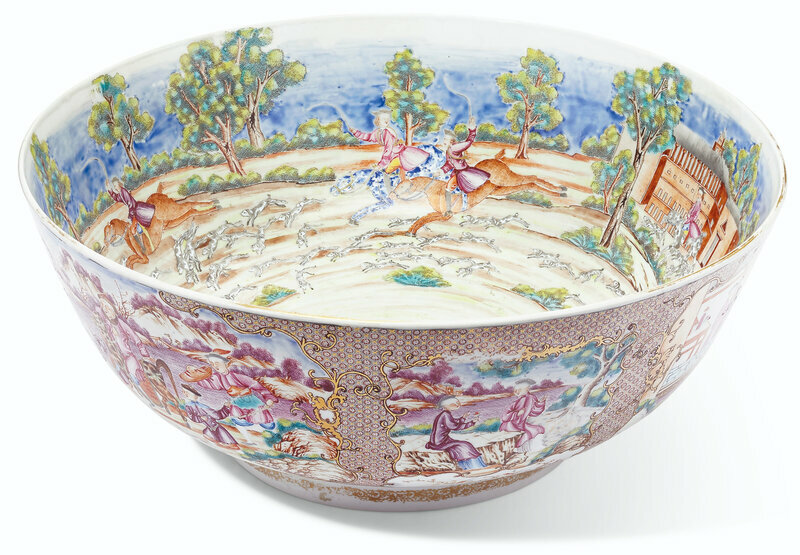 Note: Just a handful of beautifully enameled bowls depict this dual vision of hunting, East and West. 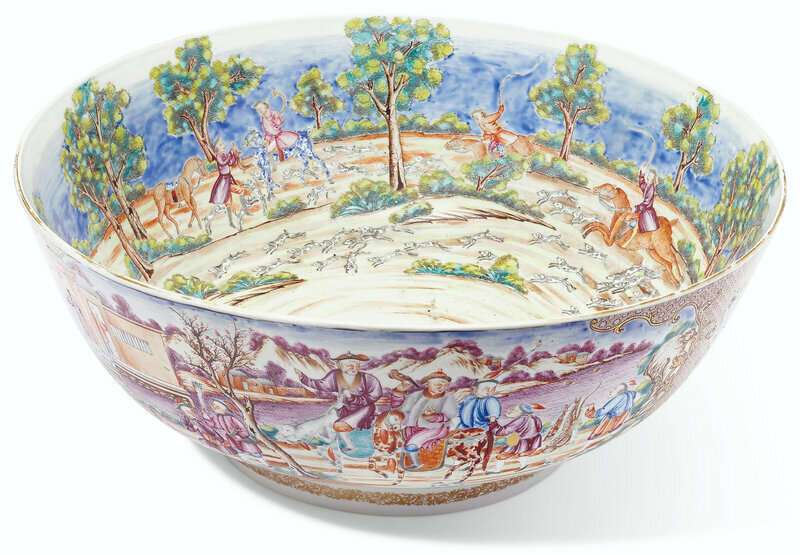 The English foxhunt depicted on the interior is inspired by James Seymour paintings, which were conveyed to China through prints and became the subject of numerous hunting bowls in the second half of the 18th century, while the two Chinese tiger hunt scenes are found on a small number of bowls of this same period. 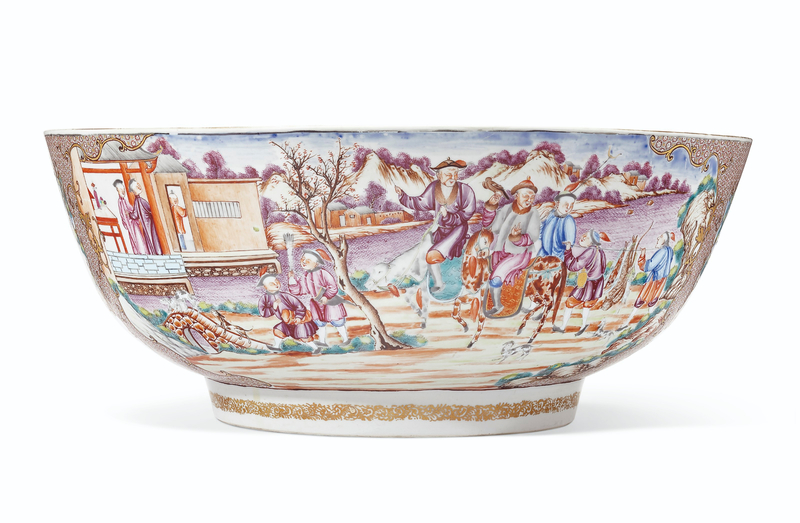 A very similar example in the Winterthur Museum is illustrated by Hervouet (op.cit., p. 76), who also shows one other that had been in the collection of Peter Perring Thomas of the British East India Co.